An idol make up is the one that doesn’t look made up. There is a proper technique of applying the makeup. For a perfect make up not only the products should be of good quality but also the brushes. 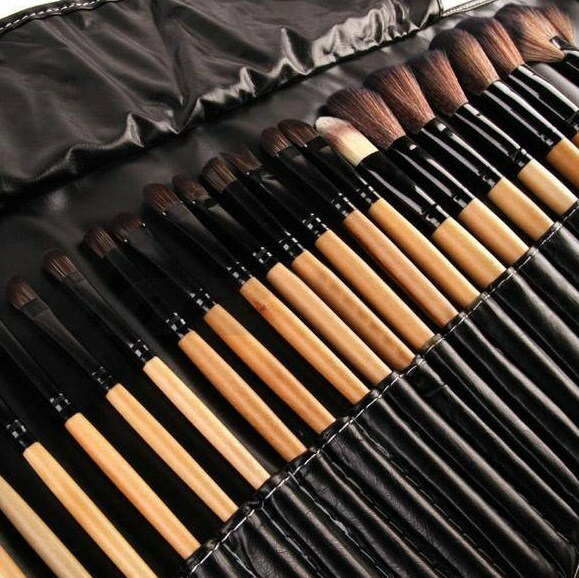 Many women purchase expensive makeup kits but usually don’t really think of spending much on the brushes. They don’t think of investing on makeup brushes.Whether it is a foundation or a concealer, it needs to be blended properly to give makeup a perfect finish. This is only possible, if the brushes that are used are apt for the product that needs to be blend. This is the only reason that we see so many different kinds of small and big brushes in a beauty salon. The professional makeup artist use different brushes to blend different products. So ladies here are the list of some kinds of brushes that should be a part of your make up kit. Kabuki brushes are the foundation brushes that are used to blend the foundation in the skin. This is a must have brush in your makeup kit. Kabuki brushes can also be used to blend that extra blush on your cheeks. Therefore the brush can be used serve two purpose in the most amazing way. Concealer brush is a must if you want to use a concealer to cover your dark area and blemishes. Some women use their fingers to spread the concealer but this is not the right way because of two reasons. The first reason is that your fingers and the nails carry a lot of bacteria and using the same finger to blend the concealer can be harmful for the skin. The second reason is that the fingers cannot blend the concealer as well as the cincealer brush can. This makes the concealer bush an essential part of your makeup kit. Powder brushes are useful to apply the face powder evenly to get the proper complexion. Prefer the large powder brush as due to the size it can easily spread the powder evenly in fewer strokes. Blush brushes are used to apply blush on the cheeks to make them look rosy and shine when the rays strike on the face. Keep this brush small as it helps you to focus on a small area. Exactly solving the purpose of what you need. The large blush brush can overdo the blush and make it appear weird. Brow Brush holds equal importance. As overdoing the brows can make it appear clownish and too little can make it look dull on the face. The brow brush is designed in a way that when you apply the shadow on your eyebrows, they give a perfect finish. Blending brush is used to blend the eye shadow perfectly. Such brushes are made in a way that they have the ability to blend the eye shadows properly even on the ends. Blending brushes spread the eye shadow evenly without letting them get collected at one area. The Smudge brushes have become important seeing the need of the hour. They are made to smudge the eye shadow in a way that they give a smoky look. For a lighter day look, you can use a kohl pencil and blend it. To give it a smoky look. So girls make these brushes a part of your makeup kit to get that perfect finish of your make up.